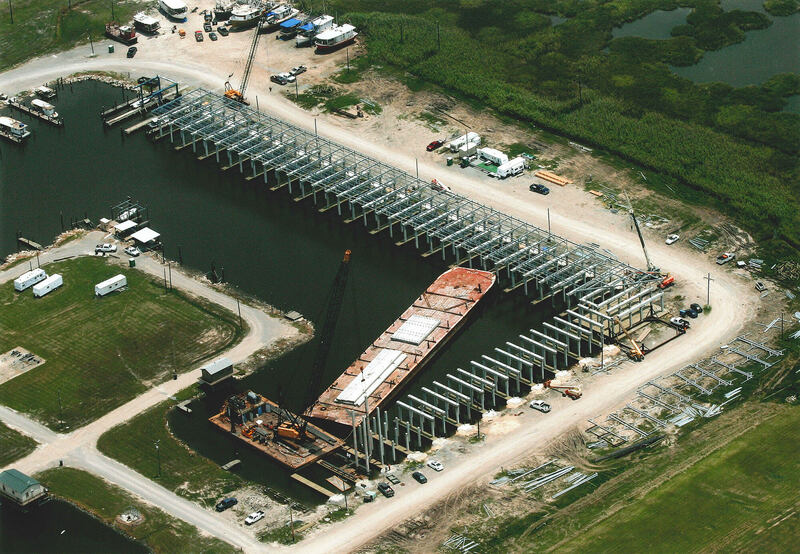 Plaquemines Parish awarded Kostmayer the project to replace the East Pointe a la Hache Boat Harbor in Southern Louisiana. 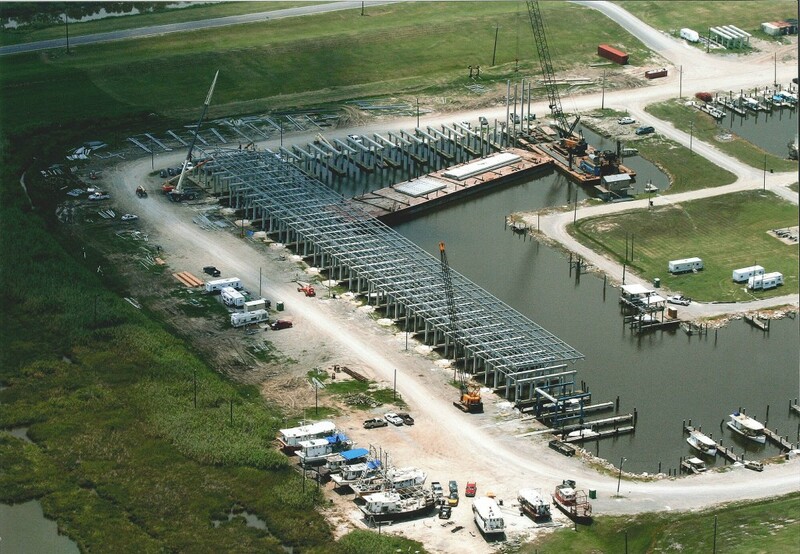 We demolished the old wood harbor and replaced it with 225 concrete pilings and wood walkways for each slip. The roof was fabricated out of galvanized steel and a seamless metal roof was installed on top. The harbor was cleaned using divers, side scan sonar and a 150-ton crane barge. Kostmayer completed the project with zero accidents or near misses.